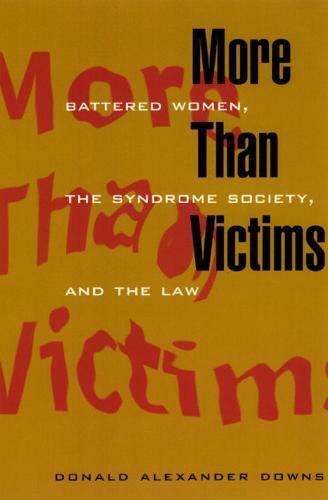 Donald Downs offers an analysis of the injustices behind the logic of battered woman syndrome, concluding that this very logic harms those it is trying to protect. The text argues that battered women often adopt heroic means of survival, retaining accurate, reasoned perceptions concerning the actions and intentions of their abusers, and to portray battered women as lacking reason and will undermines otherwise valid self-defence claims and hurts women more generally. Also explored in the work is the "Syndrome Society" more generally. The author asserts that justice can be achieved without stripping victims of reason and reponsibility - the very attributes that make citizenship possible.